MLC election from Graduate Constituency of Andhra Pradesh. All the graduates can enrol their names in the voters’ list of Graduates’ Constituency to cast their votes.Any one who has received a degree from a recognised university or equivalent qualification at least three years before the qualifying date and is an ordinary resident of the constituency is eligible to be enrolled as a voter for the graduate MLC’s election. the eligible voters can complete the formalities through online on the Election Commission’s official website http://ceoandhra.nic.in . For the Graduates constituency, the voters should have completed their degrees by 2013 and for the Teachers constituency, the voters should have worked as teachers for three years. The central level they are called as Rajyasabha (Upper House) and Loksabha ( Lower House), Along similar lines are Vidhan Sabha (Lower House) and Vidhan Parishad (Upper House) at state level. Elected representatives of Vidhan Sabha are called MLA while those nominated to Vidhan Parishad are called MLC. How to Register MLC Voter in Andhra Pradesh ? You'll see the Drop down menu , Than Select " Council constituency "
Now you'll see the Online " E-Registration Form "
Finally Click on " Submit Button "
Than Take Print out of Enrolled application form for future reference. 2. 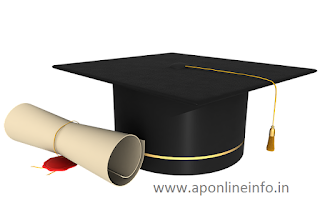 Scan Copy of Graduation completion Certificate or Diploma Certificate. How to Check AP Mlc Elections Voter Registration Status online ? After Completed Voter Registration, Voter can check their Registration Status online. follow the below instruction for get Registration Status online. Click on "E-Registration" option in the main menu bar. Finally get your Registration Status online. if you have any trouble in the Voter Registration please share your problem via Comment box. When is AP MLC Elections 2016 Voter Cards Conducted? I registered form 18(graduate) on 31-10-16 but I didn't give my voter id details is it mandatory ?. if it mandatory where is I will give the voter id details and how to update . I have uploaded passport pic and also degree certificate. where is the field to upload ID proof?? what is mean by AC & EPIC. i have enrolled the mlc graduate vote through online form 18. i got application id.Do we need to submit the print out in tasildar office ??? But due to one backlog I passed in 2014 Jan.
Am I eligible to mlc vote? HI. i have made a mistake while filling the application form.wat do i do? can i fill it again? i trying to submit form 18, after uploading proof certificate (file size <200kb, jpg format) and when i press submit button it giving a message like upload photo. what should i do? i am from West godavari,but Form 18 constitutions have no east n west godavari so, how to apply the MLC voter registration in online, please suggest me. tha above site shows only few Constituencies so plz suggest some other option.